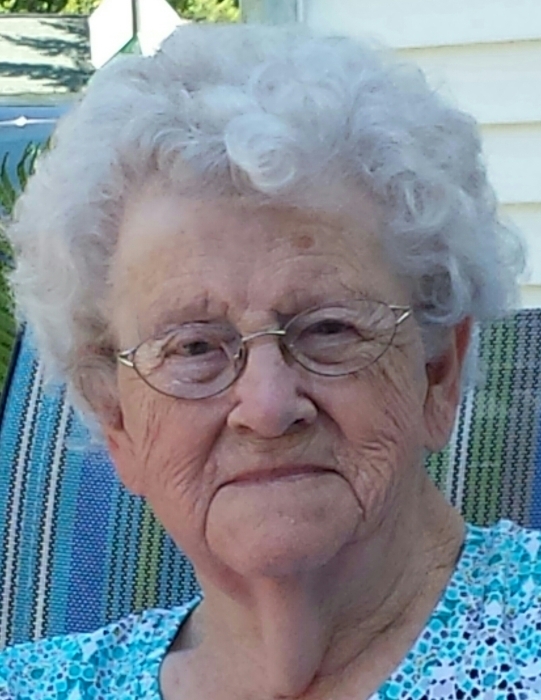 Mary Ellen Hamilton, 100, died Friday, October 12, 2018, at her Fairmount, Indiana residence. Mary Ellen was born on August 24, 1918, in Marion, to the late Roscoe and Gertrude Sanborn. She grew up and lived her life in Grant County. She married Clair Hamilton on January 25, 1942. They celebrated 68 years of marriage before Clair passed away in 2010. Mary Ellen was a member of Rigdon United Methodist Church until it closed, and then started attending Point Isabel United Methodist Church. She was an active member of the church, holding offices such as President, Treasurer, and secretary for many years, and she was a former member of the Liberty Gals. She taught Sunday School and Bible School. Mary Ellen enjoyed quilting and sewing, and had made many wedding dresses and suits. While she wouldn't admit it, she was a great oil painter and painted many landscapes. Her family will always remember what a great cook she was and the amazing noodles she used to make. Mary Ellen stayed very busy with her children, and they admired how hard of a worker she was. They will miss her terribly. Mary Ellen is survived by her children, James (Jacqueline) Hamilton, Venice, FL, Lois (Jerry) Couch, Jonesboro, Ann (Frank) Gehlhausen, Marion, Debra (David) Hays, Markleville, and Karen Kempton, Fairmount; sister, Pauline Dickerson, CO; 14 grandchildren, 26 great-grandchildren, and 11 great-great grandchildren with 2 more on the way. She was preceded in death by her husband, Clair; parents, Roscoe and Gertrude Sanborn; son-in-law, Timothy Kempton; and brother, Everett Sanborn. Arrangements have been entrusted to the Fairmount Chapel of Armes-Hunt Funeral Home and Cremation Services, 415 S. Main Street, Fairmount, Indiana, where a visitation will be held on Wednesday, October 17, 2018, from 5:00 - 7:00 p.m. A funeral service celebrating Mary Ellen's life will be held on Thursday, October 18, 2018, at 10:00 a.m. at the funeral home, with Pastor Carolyn Mikesell officiating. Burial will follow at Gardens of Memory in Marion. Contributions in memory of Mary Ellen may be made to Heart to Heart Hospice or Point Isabel United Methodist Church, in care of the funeral home. Online memories and condolences may be shared at www.armeshuntfuneralhome.com.